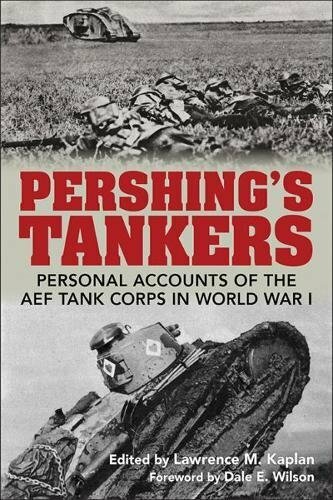 Pershing's Tankers: Personal Accounts of the AEF Tank Corps in World War I. Lawrence M. Kaplan (ed). Lexington, KY: University Press of Kentucky, 2018. As the world celebrates the centennial of the Great War’s end, historians have been busy re-examining its meaning. One addition to that body of work, Lawrence Kaplan has pieced together a remarkable collection of thoughts from America’s first group of tankers on their experiences in that conflict. The challenge this group faced in making sense of the technological advancements of the day and their impacts on the character of war is explored through their own words. They wrestled with their temperamental engines, the lack of imagination and intellectual curiosity on the part of some leaders, and with the enemy across No Man’s Land. But it is important to note that as these American tankers engaged in the Argonne, the world stood only thirteen years into the age of powered flight and only ten years since the first Model T rolled off of an assembly line. Kaplan has organized Pershing’s Tankers well, walking the reader from the broad context of the war and the advent of the tank on the battlefield down through the organization of the U.S. Tank Corps and, ultimately, to the experience of the individual crews. He provides an introduction and a leading chapter summarizing the operations of the U.S. Tank Corps in the War. He follows this with thoughts from senior leaders of the Tank Corps, shining light on the difficulty of organizing the American effort to provide material and equipment, deciding on the doctrine and equipment that they should use, and convincing a generation of infantry and artillery senior leaders, who were often dubious, of the utility of tanks on the battlefield. The meat of the book emerges in Chapter III, titled “Official Tank Corps Personal-Experience Reports.” In his “Introduction,” Kaplan describes how the chief of the Tank Corps, Brigadier General Rockenbach, called in December of 1918 for all officers of the Tank Corps to capture their experiences in a thousand words or less. 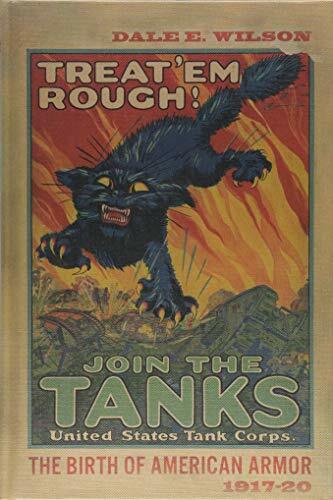 He specifically directed they not be written as reports, but rather use “all possible local color.” These essays reflect the brief combat experience of Americans manning French and British tanks in the last months of the war. The cocky strut of these young soldiers is evident in the tone and language of their missives, often written in a breezy, almost flippant style. The work of junior enlisted and junior officers, often critical of senior leaders but immensely proud of their crews and their units, pull you into their world of mud, oil, gasoline, cannons, and death. These accounts illustrate the struggles the newborn Tank Corps had with the bureaucracy of the vastly expanded American Army and war effort. Captain Elgin Braine’s 11-page account is a portrait of a junior officer fighting the geography of a worldwide conflict and negotiating the transit between battlefield and bureaucracy, the labyrinth of American industry, and the landscape of Washington, D.C., as he tries to manufacture Ford copies of the Renault light tank. He would eventually prevail, but it would come too late, as no American-manufactured land-ship saw action before the 11th day of the 11th month of 1918. The most compelling narratives come from the junior officers, many promoted from the ranks during the war, describing combat inside and outside their tanks. Their descriptions of fighting on the broken ground of no man’s land and the constant risk of ditching their tanks are visceral. 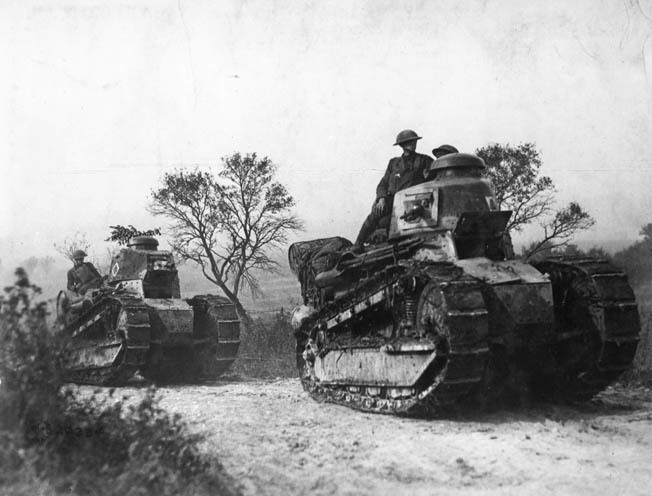 The imagery of tanks maneuvering forward of their own infantry dodging direct fire artillery and anti-tank rifles bring the tanker’s reality on the Western Front to life. As every modern day tanker knows, maintenance is critical to the mounted arm. This was even more true in the Fall of 1918, as these temperamental machines took superhuman effort to keep operational. References to fan belts, cylinders, radiators, and the ever present need to refuel, rewater, and reoil their beasts speak to the slow understanding of the requirements for modern war. “We were visited by our colonel and the general, but neither of them brought any gas that is the kind that can be used in tanks,” quipped Captain Newell Weed, commander of B Company 344th Tank Battalion. This chapter also incorporates the viewpoints of officers written long after their experience, which provides a window into how the experiences shaped how they saw future battle. Some, like Patton, looked to a different form of maneuver, but others solidified in their mind the role of the tank in support of infantry in a slow moving war of attrition like the one they had survived. Major Roger Harrison’s 1930-31 recollection of his battalion’s operations for his Infantry School Advanced Course, published here, showed little evolution of his thinking on tank warfare since his experience of 1918. A major drawback of Kaplan’s assembled personnel accounts is that they focus on the two months of combat the American tankers experienced at the close of the war. Out of those sixty days, the tankers’ individual accounts become a bit tedious as they speak to the same events, such as Colonel Patton’s wounding and the St. Mihiel and Argonne fights. Additionally, it might have added texture to the American experience to read the personal accounts of the British and French armored crewman who trained the Yanks at the training bases in Europe. But the most glaring omission is the failure to capture the perceptions of Captain Dwight D. Eisenhower and others who toiled away with the fledgling tank effort at Camp Colt in Gettysburg, Pennsylvania. Inclusion of the Allies and the tankers who never got to France, but were critical to the fielding of the Corps, would have provided a fuller view of this era of mechanized development. Kaplan’s compilation of these accounts is best read following completion of Treat 'Em Rough! : The Birth of American Armor, 1917-20 by Dale Wilson, who wrote the forward to this edition. Wilson’s detailed history provides the factual basis but, if coupled with Kaplan’s, the reader receives added color and personality to flesh out the history. Kaplan has provided a window into the thoughts, struggles, fears, and triumphs of these soldiers from a century ago as they fought the Germans while mastering the most advanced technologies of their modern world. They were not much different that those who soldier on today in the face of fast-paced change and an evolving character of war. These personal reminiscences of service in the tanks illustrate the fortitude required to fight the enemy, bureaucracy, and non-believers in fielding the capabilities needed to win on the modern battlefield. It was required then. It is required in any era of tremendous disruption, in facing the challenges of mastering new technologies, and in convincing hidebound senior leaders of the value of an emerging form of warfare. Patrick Donahoe was commissioned in the Army in 1989 from Villanova University. He holds master’s degrees in Strategic Studies and Landpower and was a National Security Fellow at the Kennedy School. The opinions expressed here are his own and do not reflect the official position of the U.S. Army, the Department of Defense, or the U.S. Government.